PawPaw (MV-MA-0977): She was rather active over in Baa Atoll this past year so we are thrilled to see that she has now made her way over Ari Atoll, great news. 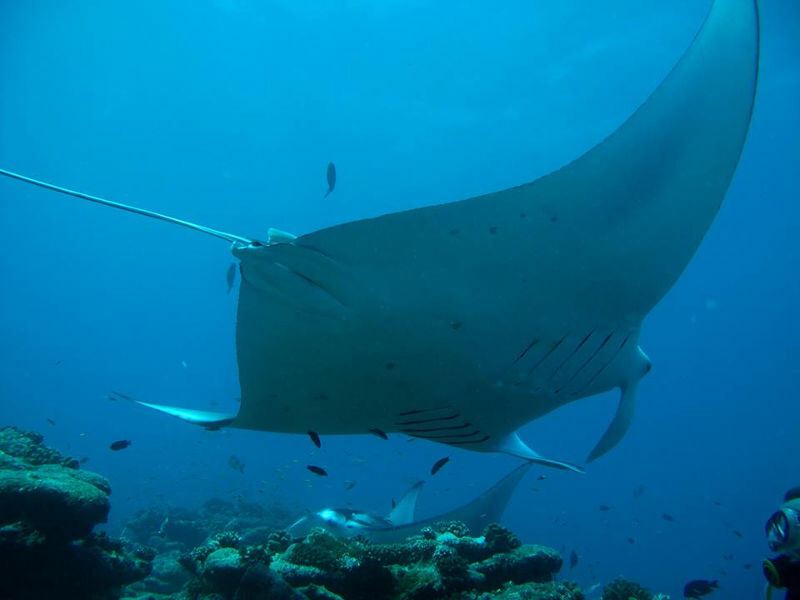 She is a juvenile female manta that was first identified in July 2008 at Sand Dune in South Male Atoll. She has been spotted a total of 20 times and is noted to be quite the little traveller- she has also been observed in North Male and Baa Atoll as well as Raa but the sighting of her in Maavaru is the first record of her visiting in Ari Atoll. Such exciting news! Young PawPaw was last seen in November 2016, cleaning at Hanifaru Beyru in Baa Atoll. 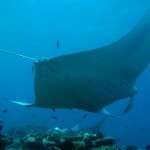 It is fantastic to see that PawPaw has made her way over to Ari Atoll and is enjoying all the manta company that side. Anita (MV-MA-3223): Anita is a juvenile female manta that was first identified in February 2014, at Moofushi Bojamhadi. She is quite a shy girl and has been spotted 17 times. Anita is noted to have an injury on her 5th gill slit and this is believed to have been caused by a fishing hook…poor lady. All encounters with Anita have been recorded in Ari Atoll, and she was last seen in December 2016, cleaning at Moofushi Bojamhadi.